Some words are often confused with one another, whether due to their similar meaning or spelling. In this quiz, you are given a series of sentences, each with a missing word. 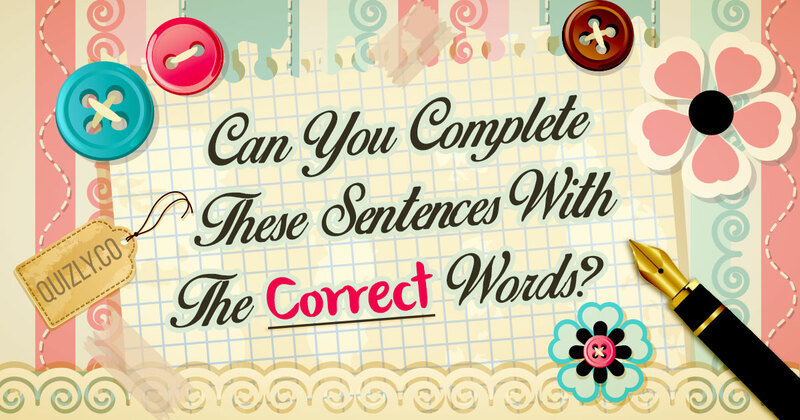 Can you complete these sentences by finding the correct word to fill the blank? Give this quiz a try and put your language skills to the test! The storm ________ everyone's ability to get to work. The _______ between good and evil was set for high noon. The US ________ building is in Washington DC. She slapped you to ______ a violent response from you. There are _____ many people in this car! He _______ to the problem but didn’t mention it. He’s a weird guy. I _______ your heartfelt apology. My family and I ________ from Spain 5 years ago. He always had a ________ for teaching. We are so thankful that ________ finally home safely. He drank ______ of chocolate milk. It is better to have a bird in the hand _______ two in a bush. He _______ the police by hiding in the bushes. Can You Pass This UK Eleven-Plus Test From Yesteryear? ✏️ Can You Pass This Math Test Without Using A Calculator?